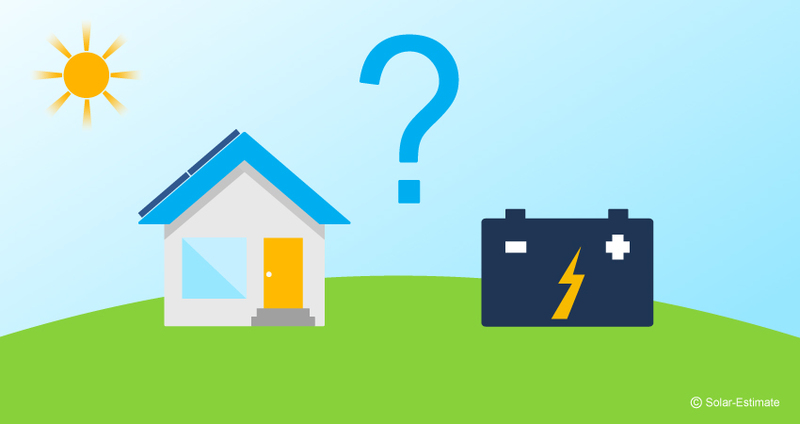 What are the pros and cons of off-grid solar battery solutions? With the emergence of the Tesla Powerwall and other battery solutions from LG and Sonnen, the dream of living independently from the grid has become a reality for many people. However, how realistic is this goal for you? In this article, we’ll explore the cost and feasibility of powering your home completely off-grid, and the pros and cons of making this decision. How much will it cost to run completely off-grid? There is no simple answer to this question, but I will discuss in depth a few scenarios, and hopefully, you can find one that applies the most to you. Before you buy a solar battery system make sure you know your monthly and daily usage for each time of year, so you understand how much power your battery bank must store and how many solar panels you need. You should be able to view this information on your utility website or by asking them. Also, make sure you’re on the cheapest electric rate plan for your usage to maximize your savings, the calculator on cutmybill.com is free and works this out for you. The average US home uses 28 kilowatt hours (kWh) of power per day meaning you’d need a system that can produce this much energy. Using data from the solar production map on solarreviews.com you can work out how much solar power you would need to reach your daily usage in your state. For example, solar panels in southern California produce 4.5 kWh per day for each kilowatt (1,000 Watts) of installed solar. This means to produce 28 kWhs, a solar system in southern California must be around 6,230 watts (6.23kW) in size, assuming average 300 watts rated panels you will need 21 solar panels. The price of solar in southern California is roughly 3.20/watt, at this price, a 6.23kW solar system would cost $19,936. Remember that this estimate is before claiming any local rebates or the federal ITC. Assuming you pay federal taxes 30% of the system cost can be taken off of your income tax liability. The final cost of a solar system in southern California after incentives should be around $13,952. The price of your batteries will depend on how many batteries you need, and which battery brand you decide to buy. The best battery brand by a long way is The Tesla Powerwall 2, compared to the other batteries reviewed in this article. The price of a Tesla Powerwall 2 is $5,900 each without installation costs and is $6,900 - $8,900 total. While the initial cost seems expensive, if you live in California you should be eligible for the SGIP battery rebate program. The available rebate per Powerwall is currently $4,060 and can be claimed on up to 2 Powerwalls. Since you will be charging your Powerwall from 100% solar energy, 30% of the remaining cost of your batteries may also be claimed as a deduction to your federal income taxes. Having a consumption of 28 kWh per day sadly means you may have to purchase a second Powerwall to remain off-grid reliably. If you are able to reduce your power consumption by about 25% running reliably off-grid shouldn’t be a problem. Luckily many utilities offer rebates on energy-efficient home appliances to help you cut down on your energy consumption. This means the final price of a solar battery system in California is around $15,940 and about $20,000 for most other parts of the US assuming only 1 Powerwall is used. What are the cons to running off-grid? While the idea sounds good, it’s very expensive. Incentives like the SGIP rebate in California are very rare in other parts of the US. States that offer net metering destroy the financial sensibility of home batteries since net metering is essentially a battery for the economic value of your power. What are the pros of running off-grid? Even during the day, a conventional solar system will not power your home during an outage as a grid-connected system is required by law to have a disconnect switch to stop linesmen being electrocuted from energy your solar system exports to the grid. A battery system will keep your house running as long as there’s power in the batteries, regardless of the status of the grid. While net metering means batteries don’t make sense economically, keeping your home running during an outage means the investment pays for itself in comfort.